If you’re like me at all, you’re probably confused by the concept of taxes and “tax season.” If you’re lucky, like me, you just send all your T420s or whatever to your dad and hope that it all goes well. I recently found out that even my dad doesn’t do taxes — he sends the family’s tax forms to an accountant family friend and pays him to do our taxes. The point I’m trying to make is that even adults — I mean experienced adults — rely on others to do their taxes, so it’s okay if you don’t know how to do them. As for actual advice, I sought out some of the best advice on the Internet so you don’t have to. You basically have two options to start: you can do it on your own, or you can hire someone to do it for you. If you have the money, I suggest getting an accountant’s help, as they can find things that you might miss. 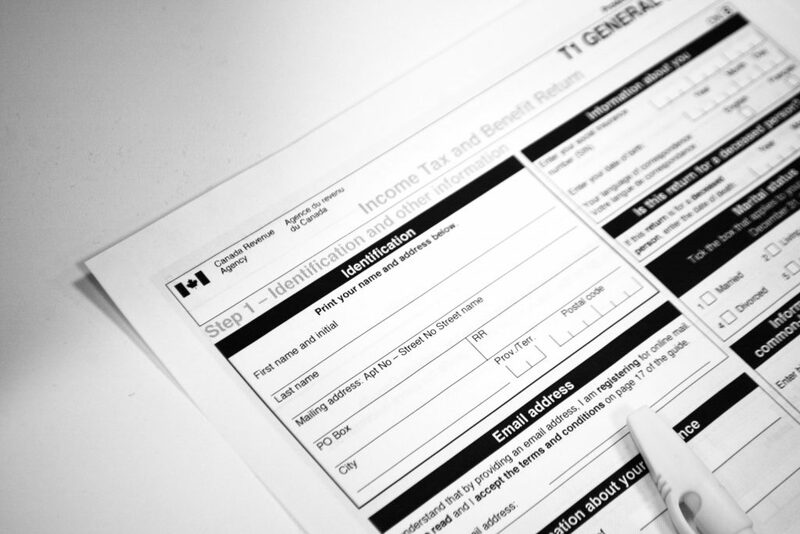 There are several volunteer tax filers in Waterloo Region over the month of March and you might qualify depending on how much income you have received. Check the Canadian Revenue Agency (CRA) website for more information and addresses of the clinics. However, I assume most students do not have a lot of money — therefore, filing on your own is probably the best idea. There are many online software options that will help you self-file your taxes to send into the CRA. TurboTax is $20 per return, and millions of people use it yearly. Ufile helps you send your return information directly to the CRA, which is super useful — and you can start using it for free. StudioTax is another CRA-approved web service for filing taxes. It is lesser known but provides all the same services as the other sites. Best of all, it’s completely free unless you want to donate to the team that works on the site. The last option is doing it by hand, but please do it using online software — it will save you so much time and hassle. The types of income you must file are “employment income; tips and occasional earnings; investment income; universal child care benefit (UCCB); registered education savings plan [RESP] payments; and scholarships, fellowships, bursaries, and study grants” according to the CRA. If you don’t have all the forms by the time taxes are due, April 30, you still have to submit it on time. The CRA says to include a note with your return saying the “payer’s name and address, the type of income involved, and what you are doing to get the slip.” There is more specific information on the CRA website. You need your T2202A (typical university tax form) and T4 from any place of employment in which you worked for 2016. Quest has sent out the T2202A form and it’s available under “Tax Receipts.” Even if someone else paid your fees, you still have to “claim” it on your tax return. You also need to make sure you have your personal and address information, like your SIN and permanent address. As well, look up what deductions, credits, and expenses you may have on the CRA website. Those are super useful. Also, know all forms of income you get that might not be on a T4 slip — cash tips, freelance work you get cash for, and others are listed on CRA. As well, you may have Ontario (provincial) credits that you should check for. All in all, taxes are complicated but you don’t have to do it alone. The university also has a club that can help you with filing your taxes. The University of Waterloo Accounting and Finance Students’ Association (UWAFSA) is hosting free tax filing help sessions starting March 23, so take advantage of this situation, especially if you’re an international student. Asking for help is okay because taxes are confusing as hell, and it can’t hurt to get some help.